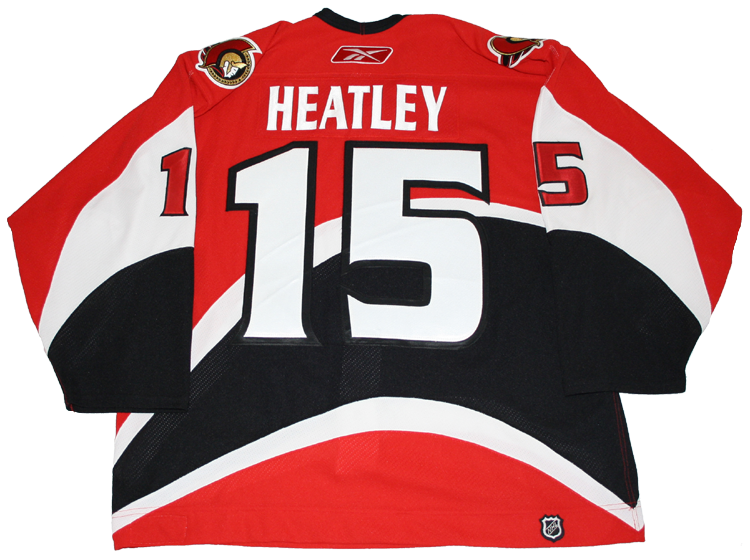 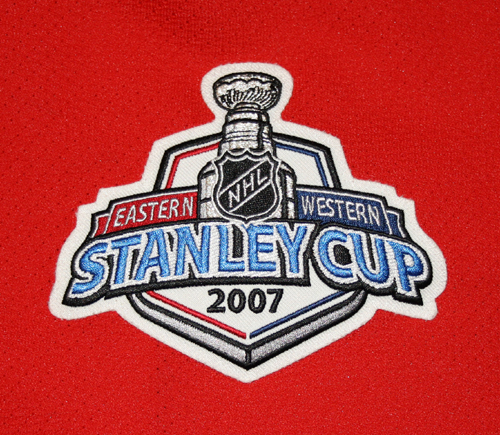 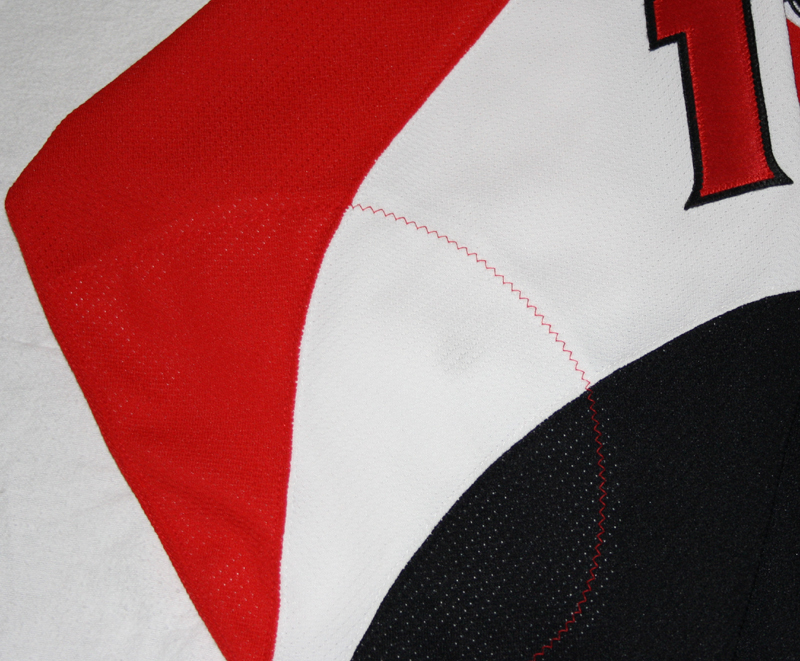 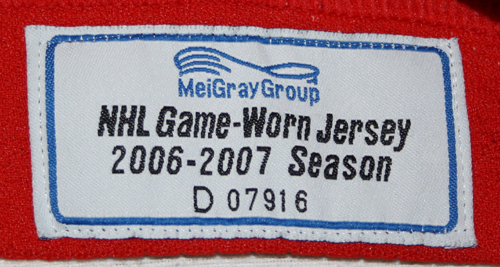 This jersey was worn by Dany Heatley of the Ottawa Senators in games 3 and 4 of the 2007 Stanley Cup Finals. 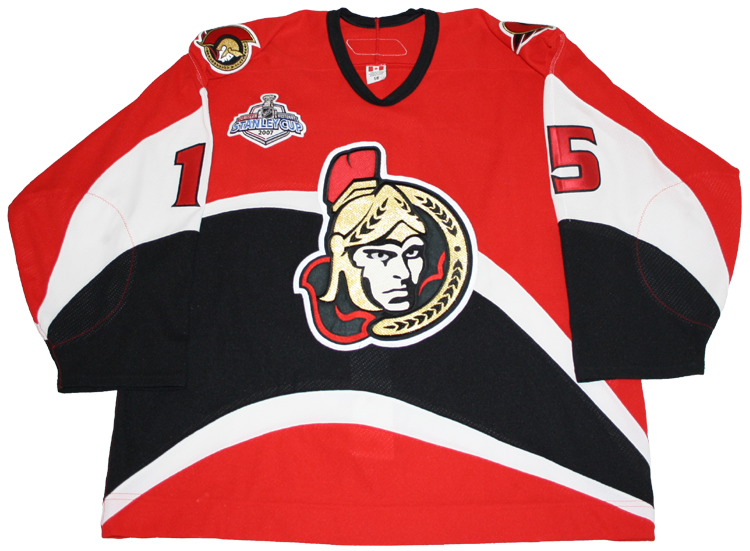 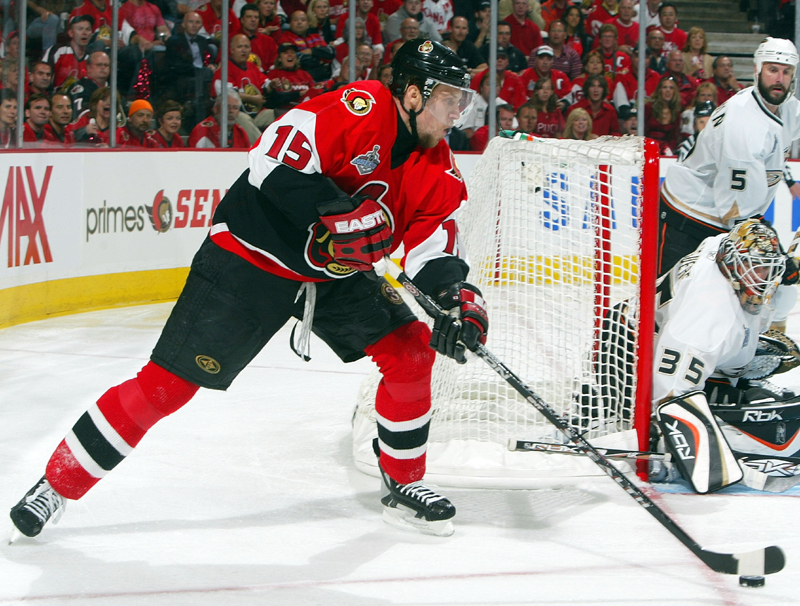 The Senators won their first Finals game in team history in game 3 and Heatley scored a goal in a game 4 loss. 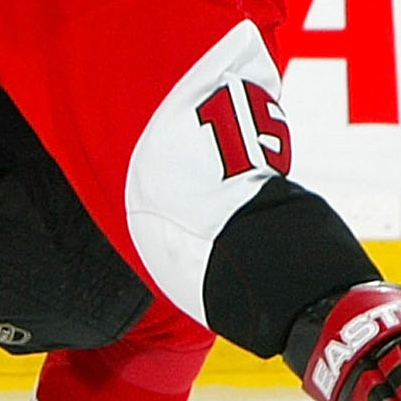 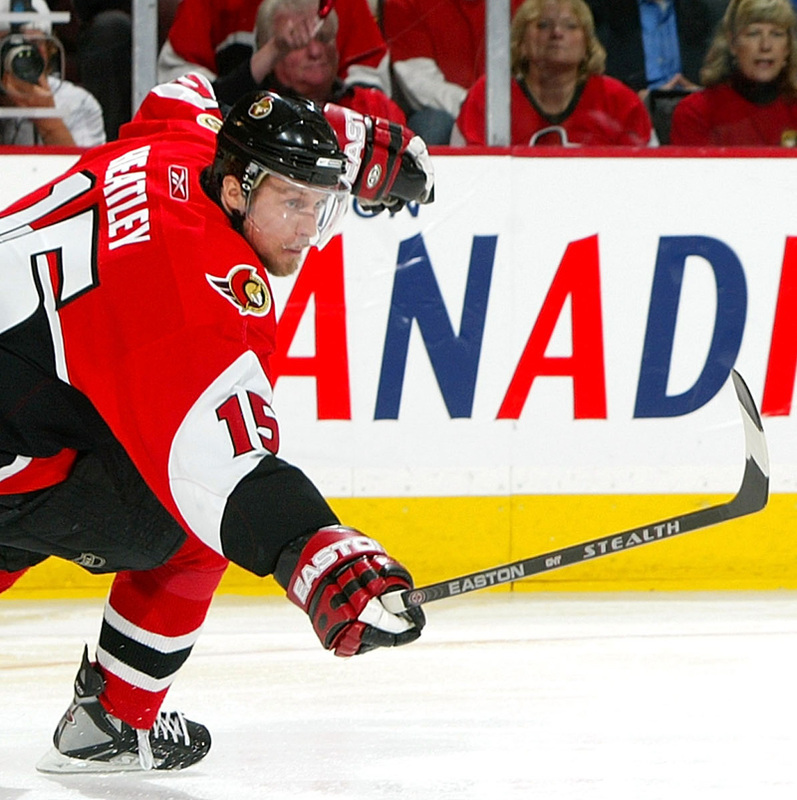 Heatley is the only Senator to score 50 goals in a season, which he did on two occasions.